The 2019 Acura ILX and the 2019 Acura TLX are two of the latest luxury cars to be released by Acura. While the 2019 Acura ILX and the 2019 Acura TLX do have many things in common, they also have numerous differentiating factors. Throughout this article, I’m going to go into detail about both the 2019 Acura ILX and the 2019 Acura TLX and help you decide which luxury vehicle is right for you. Despite the 2019 Acura ILX being a luxury small car and the 2019 Acura TLX being a luxury midsize car, they have very similar engines. The 2019 Acura ILX comes with a 2.4L 4 cylinder engine that produces 201 horsepower at 6,800 rpm, gets an estimated 24 mpg city and an estimated 34 mpg highway. The 2019 Acura TLX also comes with a 2.4L 4 cylinder engine, but it gets an estimated 23 mpg city and an estimated 33 mpg highway. When it comes to appearance, the 2019 Acura ILX and the 2019 Acura TLX are very similar. Both the 2019 Acura ILX and the 2019 Acura TLX have a very sleek design and a medium size front black grille. However, there are some differences between the two Acura’s headlights. The 2019 Acura ILX’s headlights are long and quite thin, while the 2019 Acura TLX’s headlights are relatively short and very thin. While this isn’t a dramatic change, it is still the biggest difference between the two exteriors. The 2019 Acura ILX and the 2019 Acura TLX also come in different colors. The 2019 Acura ILX comes in Lunar Silver Metallic, Modern Steel Metallic, Performance Red Pearl, Platinum White Pearl, and Majestic Black Pearl, while the 2019 Acura TLX comes in Platinum White Pearl, San Marino Red, Crystal Black Pearl, Fathom Blue Pearl, Lunar Silver Metallic and Modern Steel Metallic. Both the 2019 Acura ILX and the 2019 Acura TLX have many features. These features include satellite radio, an AM/FM stereo, an MP3 player, a CD player, auxiliary audio input, a wireless cell phone hookup, dual zone air conditioning, climate control, numerous airbags, lane departure warning, child safety locks, traction control, daytime running lights, lane keeping assist, daytime running lights, brake assist, 4-wheel disc brakes, electronic stability control, a trip computer, steering wheel controls, auto-off headlights, rear parking aid, cruise control, a vehicle anti-theft system, adaptive cruise control, keyless entry, heated mirrors, power steering, fog lamps, power door locks, remote trunk release, keyless start, a rear spoiler, a tire pressure monitoring system, wheel locks, aluminum wheels and a moonroof. However, the 2019 Acura TLX has several features that the 2019 Acura ILX doesn’t. These features are smart device integration, integrated turn signal mirrors, mirror memory, an electrochromic rearview mirror, and a universal garage door opener. Over the course of this article, I have discussed the 2019 Acura ILX and the 2019 Acura TLX. I’ve talked about the things that the 2019 Acura ILX and the 2019 Acura TLX have in common, as well as the things that distinguish the Acuras from one another. When it comes to deciding between the 2019 Acura ILX and the 2019 Acura TLX, it really comes down to what you are looking for. Regardless of which 2019 Acura you decide to purchase, you will undoubtedly be purchasing a very solid luxury vehicle. 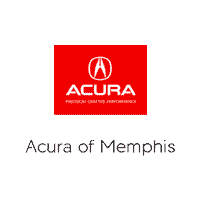 If you would like to learn more about either 2019 Acura, then feel free to contact us at Acura of Memphis.